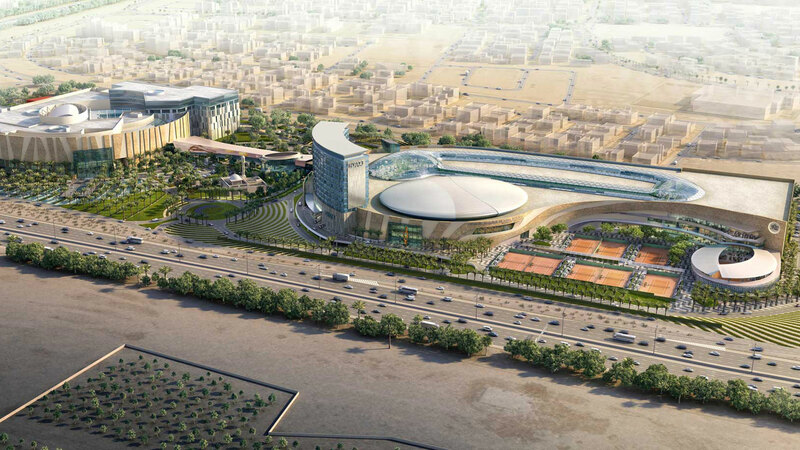 The massive expansion of 360 MALL, Kuwait’s iconic shopping destination, has commenced through the development of the new state-of-the-art Sheikh Jaber Al Abdullah Al Jaber Al Sabah International Tennis Complex, which will put Kuwait firmly on the world’s professional tennis map. The newly expanded mall with the tennis complex is expected to open doors by 2019. The expansion will build on the huge success and identity of the existing 360 MALL with an added offering which includes sports, entertainment, a hotel, and additional shopping. The mall is owned by a subsidiary of Tamdeen Shopping Centers Company, one of the Tamdeen Holding Group of Companies. The announcement was made at a press conference held at Tamdeen Group headquarters in Kuwait, addressed by Mohammed Jassim Al Marzouq, Chairman, Tamdeen Group; Sheikh Ahmed Al-Jaber Al-Abdullah Al-Sabah, President of Kuwait Tennis Federation, President of Arab Tennis Federation and Chairman of Asian Tennis Federation; and Anil Khanna, President, Asian Tennis Federation and Vice-President, International Tennis Federation. The expansion project will feature several new to the market retail brands, a signature five star hotel, in addition to outstanding restaurants, a ballroom, and a health club. The upgraded retail experience will leave shoppers with a multitude of new brands to choose from, while the hospitality and F&B facilities will create a new luxury paradigm. 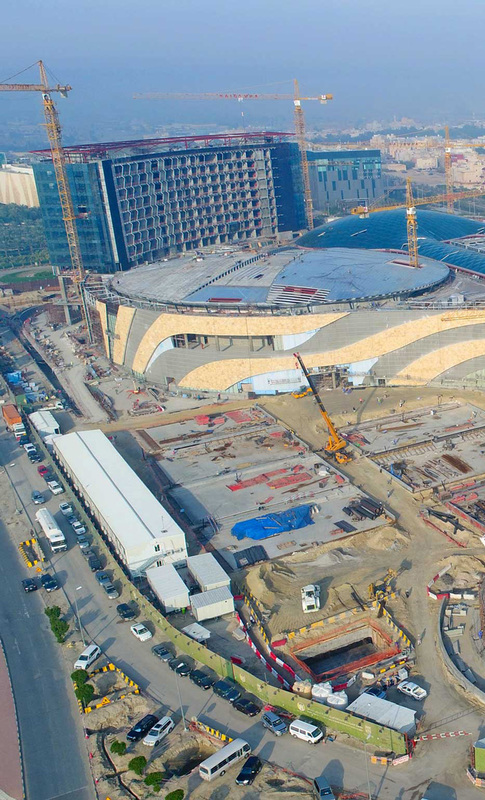 The extension to the retail mall will increase the footfall by at least 30% to over 18 million discerning visitors. The tennis complex will have a combined stadium seating for over 7,600 people across two main arenas, each with the capacity to hold 4,000 and 1,600 people respectively, eight indoor courts with over 500 seats and eight outdoor courts with 1,500 seats. 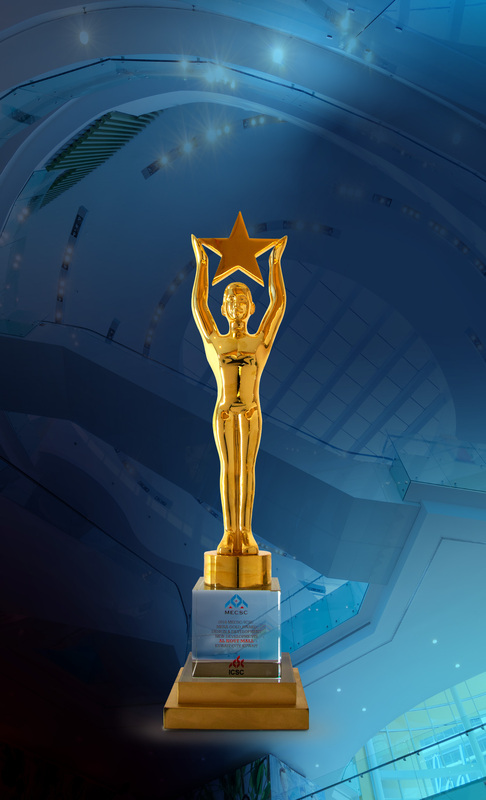 In order to enhance the “event experience”, spectators will have direct access to the tennis arena from 360 MALL, the 2,000 car multi-storey parking, and from the 6th Ring Road. There would be a seamless relationship between the mall, the tennis facility and the hotel.